Tag Archives for " Keyword suggestion tool "
One of the first successful PPC ad systems was service called Overture. One of the most popular features of this service was a tool called the Search Suggestion Tool. 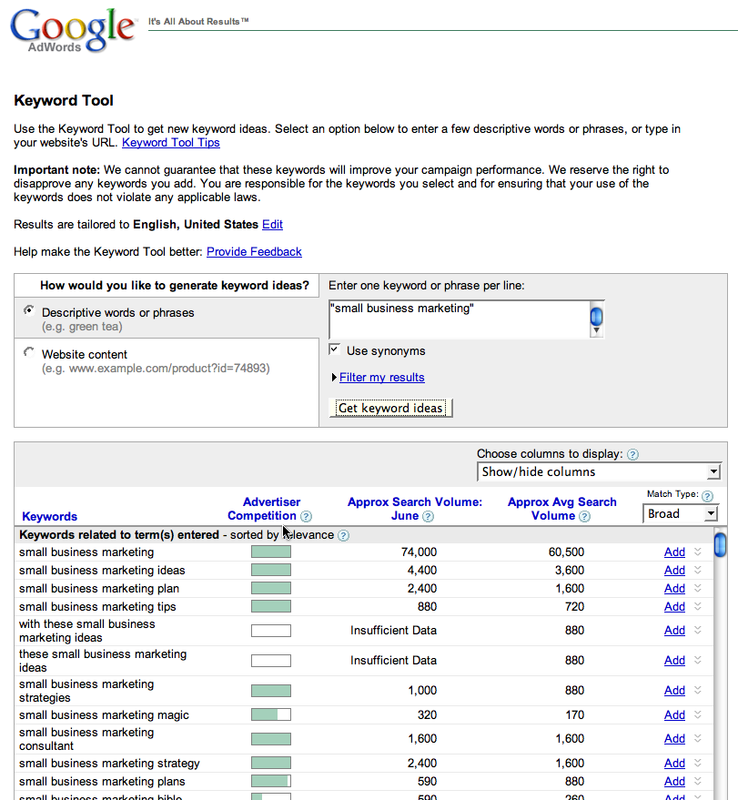 Anyone online back in say 2002-2003 used this tool a bunch to help determine what search phrases received the most traffic. This was one very simple DIY tool. I’ve found that this tool is also a nice, low effort way to get some ideas for keyword phrases for your web pages and blog posts. The tool offers suggestions for ways that people are really searching in your industry and might spark some ideas for blog headlines. Of course, for local businesses, this can be a great way to identify terms that you might want to add your city name to.